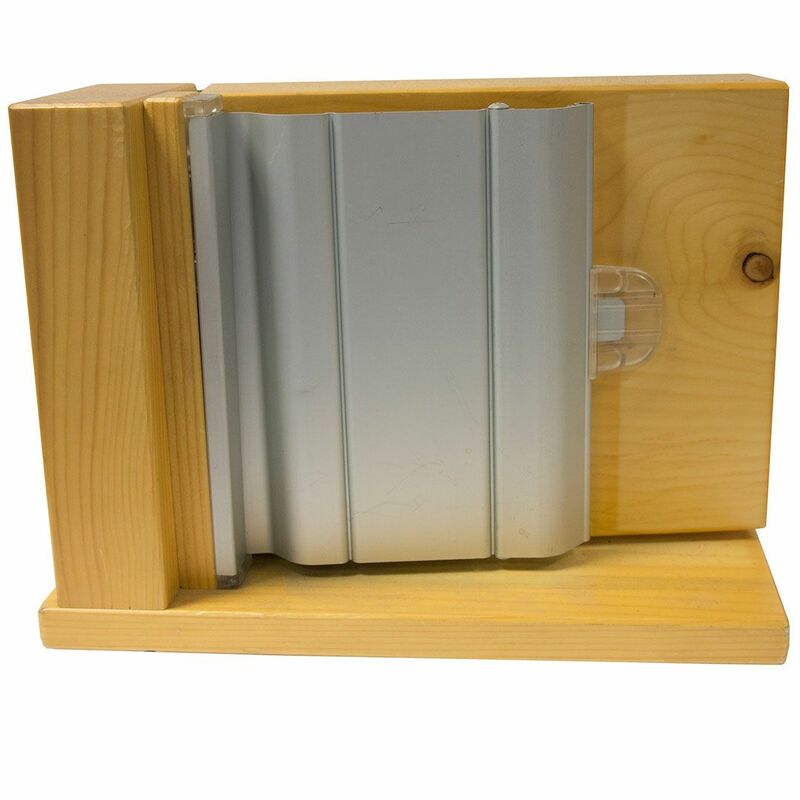 This durable aluminium guard made of T6 alloy - as used in aircraft construction. Impossible for a finger to deflect the guard material. Light in weight with a heavy duty performance. The guard will not crack, tear or rip in the way that plastic polymer based guards can when subject to abuse or hard knocks. 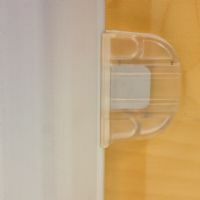 The guard slides on a short track, which uses a self-lubricating plastic to minimise maintenance needs and can be installed in a few minutes. 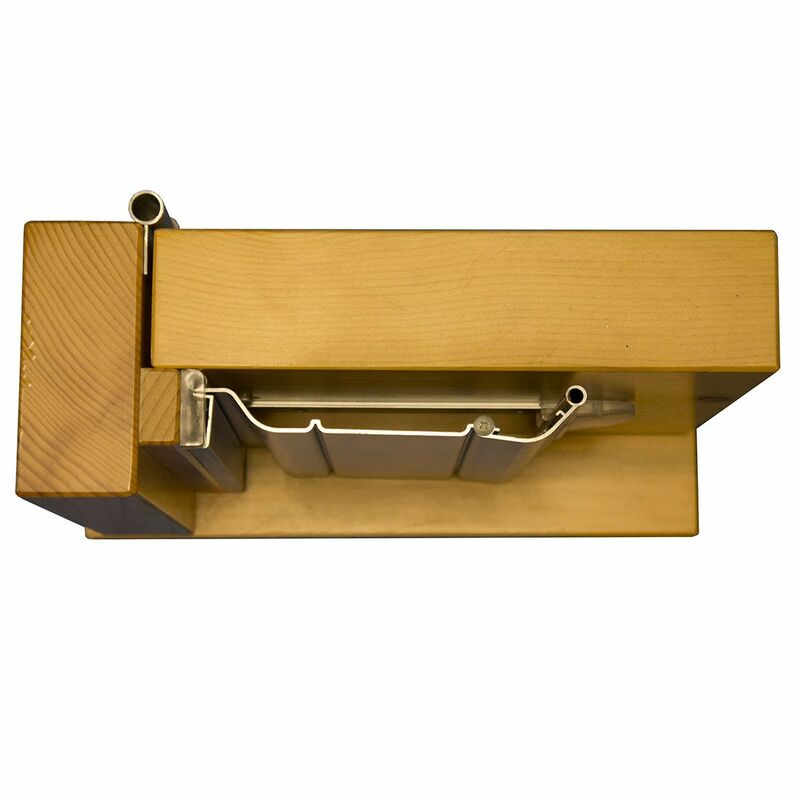 Supplied in 2000mm lengths that can be cut to required door opening height. Suitable for up to 180° door opening angles depending on door configuration. 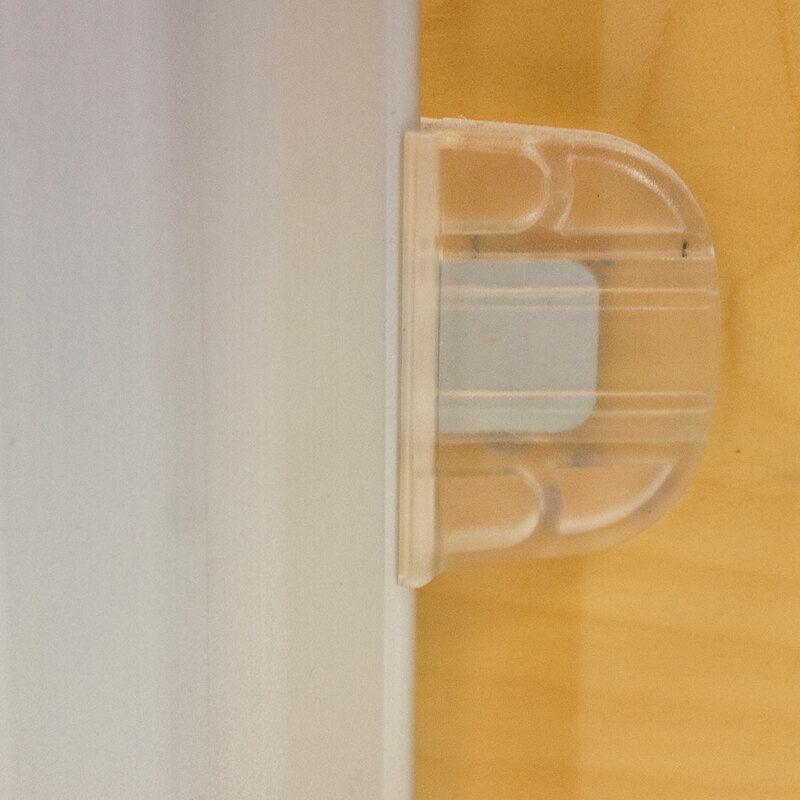 NOTE: The door surface material must be able to accept the screws used to secure the guard’s guide rails. All aluminium finger guard for timber doors. Fabricated from strong T6 Aluminium Alloy. 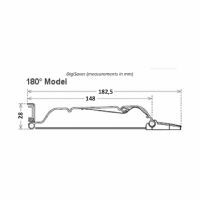 Suitable for up to 180° door opening angles depending on door configuration. 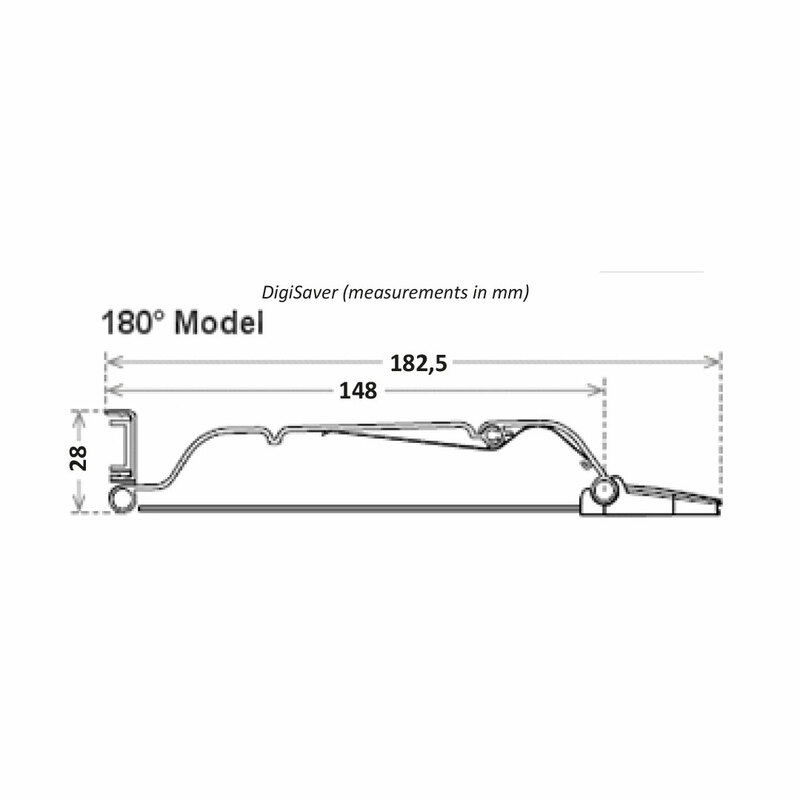 Easily to install to new or existing doors with a long and low maintenance life. Easy wipe clean surface to combat Healthcare Associated Infections (HCAI). 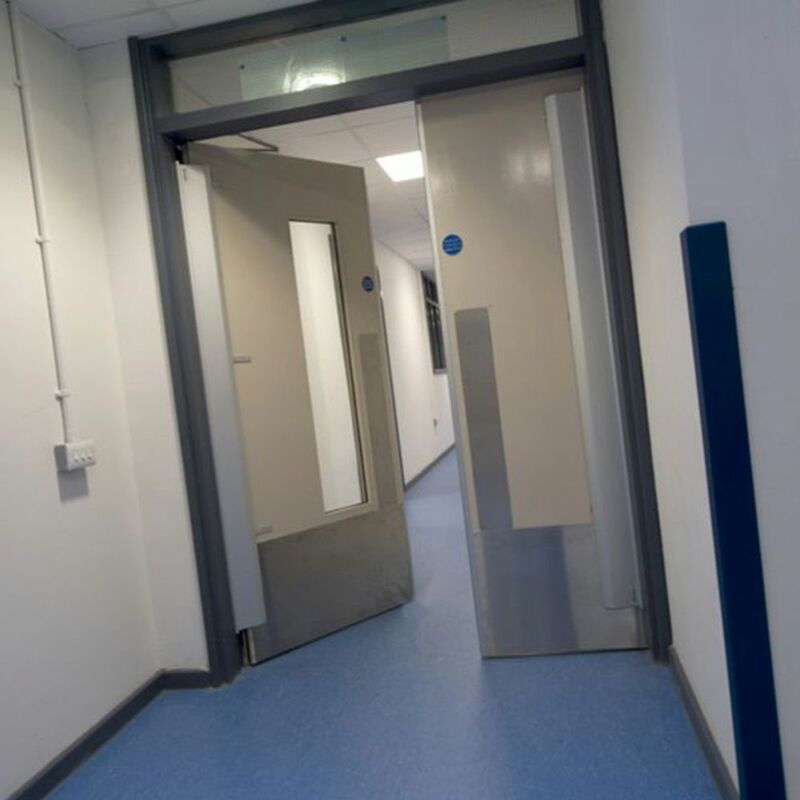 Suitable for single swing doors in high traffic areas. Available in Satin Aluminium finish in 2000mm lengths.